The Church Office will be closed Monday, January 21, 2018 in celebration of the Dr. Martin Luther King Jr. Holiday. Creation Care will be observing Martin Luther King Jr day, Monday, January 21, 2019 as a work day rather than a day off. We will be focusing on the Church, Vanessa Knight Building, gardens, trails, yard and curb side. We are asking volunteers to assist in this effort. 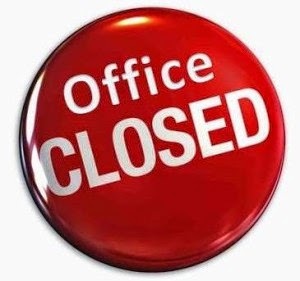 Work will be from 9:00am until 1:00pm. A communal feast will be served after the completion of work. If you have any questions see Sis. Marshall Honeywood. NO WORK WILL DONE ON MONDAY IF THERE IS ICE OR SNOW ON THE GROUND. Otherwise, bundle up and come on out. 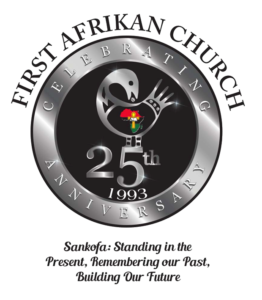 First Afrikan Church, January is the month we rest and dedicate time to spiritual, relational, political and cultural enrichment; rededicate ourselves to the pursuit of cultural and spiritual knowledge, and set the tone for the rest of the year through reflecting on the church’s theme. 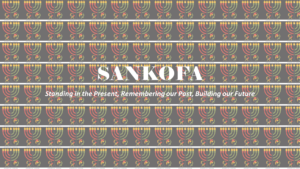 This year’s theme is Sankofa: Standing in the Present, Remembering our Past, Building our Future. 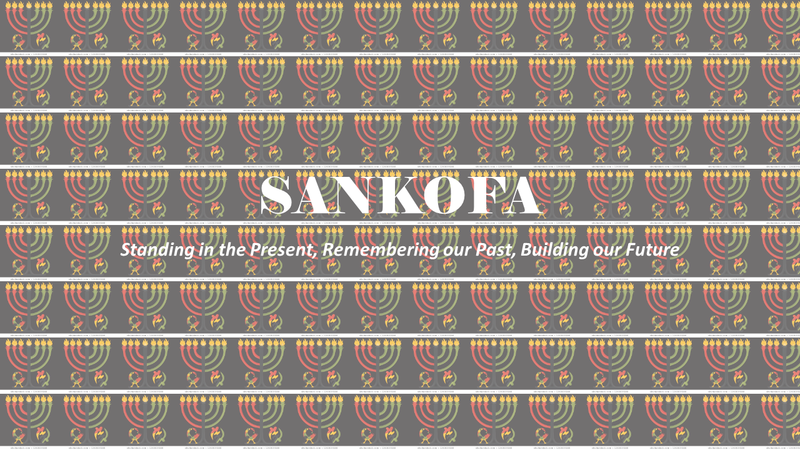 Please pick up your Shabbat Meditation Booklets after service in the Narthex.